Speed Schoolers, as well as all U of L students, will soon have a new campus eatery at their disposal. 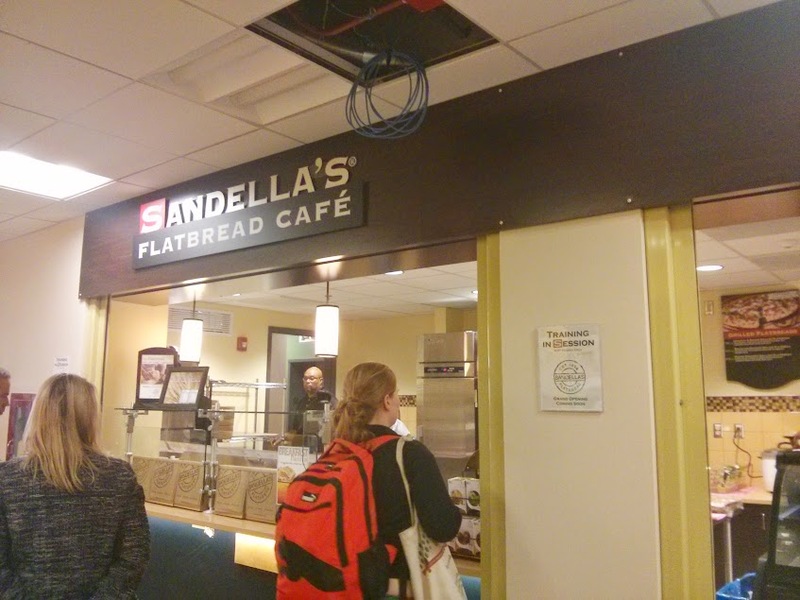 Sandella’s Flatbread Cafe, housed in the Duthie Center for Engineering behind the J. B. Speed School, serves up a variety of flatbreads and grilled items for the student looking for a quick, healthy lunch. The menu has five categories: grilled flatbreads, burritos, burrito bowls, paninis and quesadillas. Each menu item has calories listed next to them for the health-conscious student. Most items fall between 400 to 750 calories, a refreshing sight compared to other, not-so-healthy campus restaurants. According to Sodexo’s website, Sandella’s flatbread has four ingredients: flour, filtered water, sea salt and yeast. It’s all natural and fat free, which stands out on a campus with few healthy options available. Their signature flatbread is used on a majority of their menu items. My first meal there, the California Quesadilla on wheat, was nothing like what I expected in the best way possible. I expected the typical greasy, cheesy quesadilla. What I got was a crispy, warm pita bread filled with melted cheese, veggies and guacamole. The entree, only 500 calories, was surprisingly tangy but not overwhelming. Another surprising thing: the temperature of the food. When the entree got to me, it was not piping hot – a good thing because I could immediately eat the quesadilla without burning my tongue. I feel like most students stopping at the cafe for a quick meal before class will appreciate that. From ordering to receiving food, my total wait time was about eight minutes – not bad for a crew fighting through their first lunch rush. All crew members I came in contact with, from the woman who took my order to the man who handed me my food and apologized for the wait, were kind and happy. Sandella’s is set to open post-Fall Break, with a ribbon cutting tenatively set for Wed. Oct. 8 at 10:30 a.m. It will be open 7:30 a.m. to 6 p.m., Monday through Thursday, and 7:30 a.m. to 3 p.m. on Fridays. To check out their full menu, stop by the cafe this week.